Name : The Mario gang!!! Attack 1 : It's a MARIO!!!!! Flip 3 coins.This does 30 Damage times the number of heads. 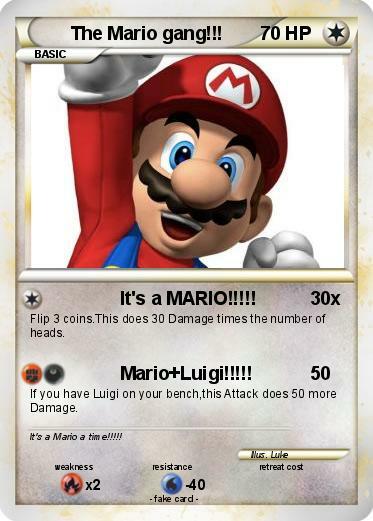 If you have Luigi on your bench,this Attack does 50 more Damage. Comments : It's a Mario a time!!!! !